Premier League clubs are due to discuss whether to continue or scrap the £30 away ticket cap that was first introduced during the 2015/16 season. The initial three-year agreement on the cap will expire at the end of this season and the league must make a decision on whether to maintain it. 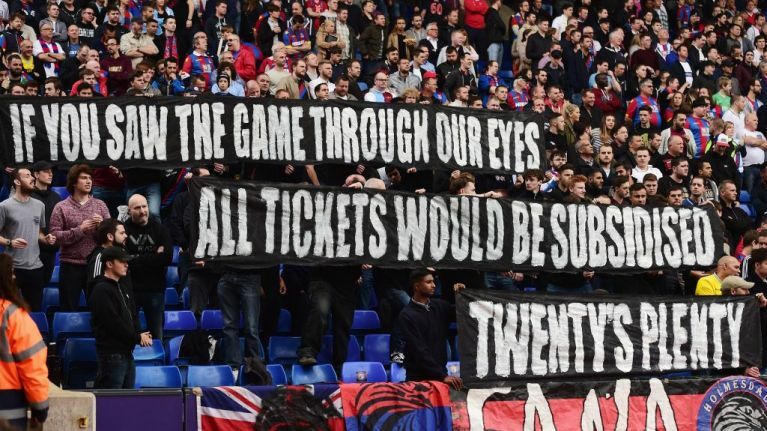 For it to be continued into next season, 14 clubs need to vote in favour of it, but the famed big six have shown reservations about doing so, as it has a disproportionate effect on their match-day income due to their higher ticket prices. Since its introduction, the cap has unsurprisingly seen an increase in away fans travelling to games. Now they are much more affordable, compared to before the cap was brought in, when some trips to watch the big teams would cost travelling fans in the region of £70 for an adult ticket. The Football Supporters' Federation are optimistic that clubs will vote to maintain the cap, but Richard Scudamore's recent departure as the Premier League's chief executive could throw a spanner in the works. Scudamore was understood to be a big driving force behind the cap, and the absence of a replacement has caused uncertainty around whether clubs will vote to keep it active. Susanna Dinnage, of Discovery, and Tim Davie, of BBC Studios, have both rejected the chief executive role, leaving Richard Masters, the managing director, in interim charge. Eight clubs initially voted against the change in 2016, before lobbying from Scudamore convinced some of them to change their minds, at a time when the Premier League had agreed a record £8.3 billion television deal. The merits of the price cap are clear, as are the benefits. Fans all around the country who enjoy travelling to watch their team play will be hoping the Premier League sees sense and votes not to scrap it.